Kawah Ijen: Workingman's Death Versus Tourist Pleasure | Travel Photography Blog by Nisa Maier and Ulli Maier. 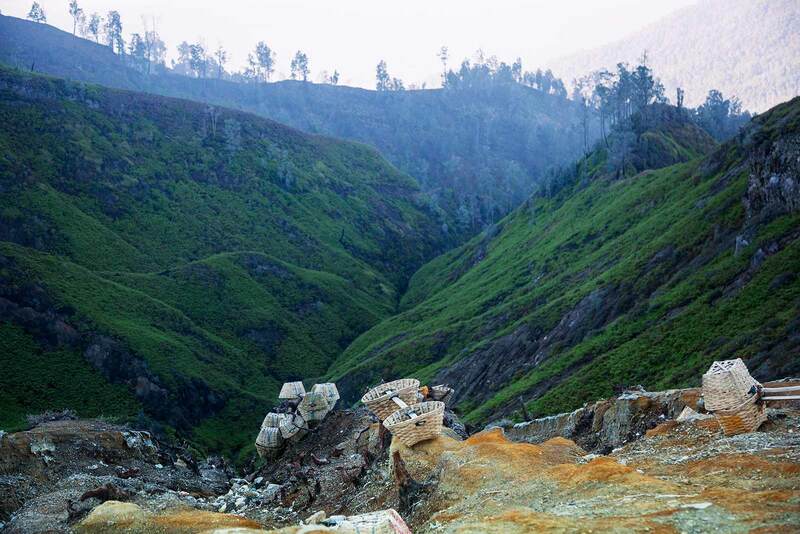 Kawah Ijen: Workingman’s Death Versus Tourist Pleasure. The adventure I’m about to write about was on our list since we’ve first seen the documentary Workingman’s Death by Austrian film director Michael Glawogger. 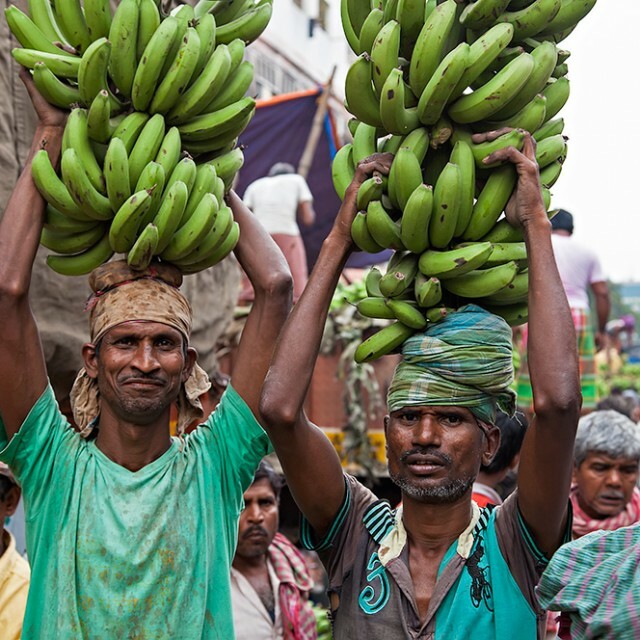 The documentary shows difficult working conditions around the world. It was also our inspiration for visiting the ship breaking yard of Chittagong in Bangladesh a few years ago and now we were keen to pay the sulfur workers of Kawah Ijen volcano a visit. To get there was pretty easy and straightforward. We flew in to Surabaya from where we took the train to Banyuwangi Regency/Karangasem Station. 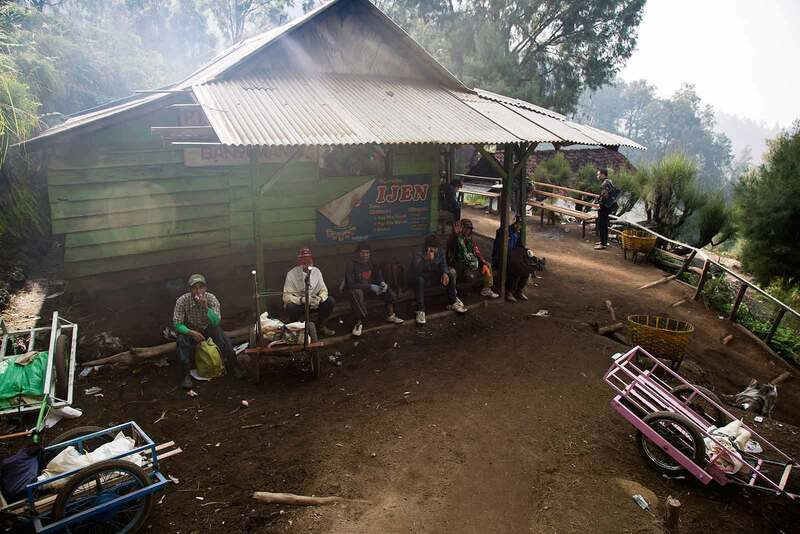 We were picked up by our guesthouse and drove to the village of Licin, which is about 20 kilometres from the station, located on the slopes of Kawah Ijen volcano. The guesthouse, situated between rice terraces, coffee plantations and natural jungle was an ideal spot to explore the area, while our host organised the trip to the volcano the next morning. Oh and by “next morning” we mean 1 a.m.! Workingman’s Death: 3 Times A Day, 6 Days A Week. The walk into the cater would include sharp drops, slippery steps and a toxic turquoise lake. At almost 2.800 metres, this place is a working mine where men carry up to 100 kilos of sulfur out of the mouth of the volcano down to the weighing station. They do this by hand up to three times a day, six days a week, starting at 1 a.m. when it’s still cool outside. From our guesthouse it took about one hour until we reached the parking lot from where the 3.5 kilometre trek starts. Our guide’s name was Neki, who was a miner himself for almost 10 years and told us much about the job during the first one-hour climb upwards. The way lead us to the canteen for a little rest with a cup of tea before continuing. Here we saw the first miner coming towards us. It was a sight we’d see many more times during our walk to the crater rim: The man carried two baskets made out of bamboo loaded with mustard-yellow sulfur on his shoulder. He was one of 20 working men trying to bring up as much sulfur as their back can bear. Seeing him rapidly walk past us with this enormous load almost made us feel bad for resting. We continued walking. The trip to the Kawah Ijen crater might not be super tough, but I still welcomed the rest in between. 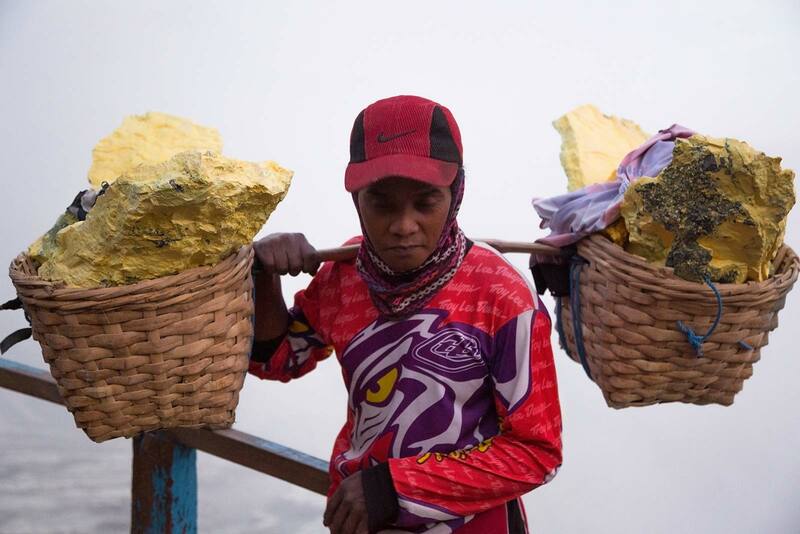 Miner at Kawah Ijen break up the sulfur before transporting them to the weighing station. There is only one way to the crater that tourist and the workers have to share. 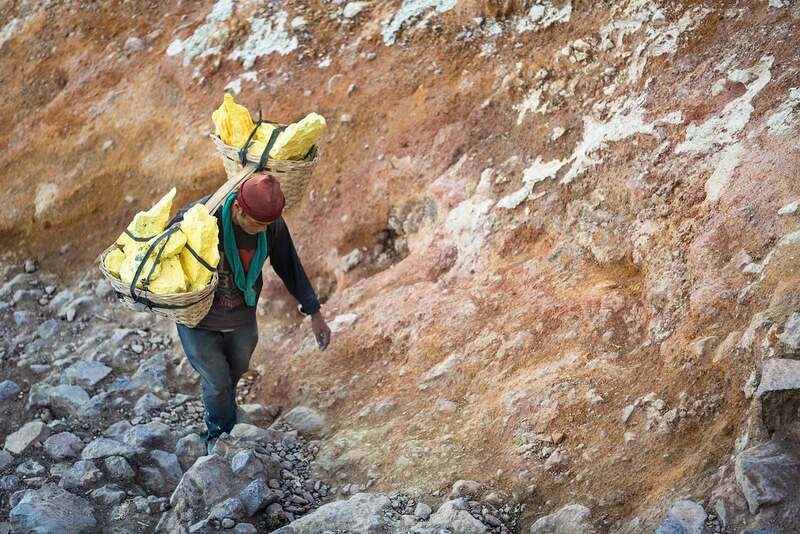 A miner ascends from the Kawah Ijen crater with his baskets full of sulfur. The moment you arrive at the crater rim you’ll notice hundreds of tourist walking down into the crater to see the spectacular blue fires that burn between the sulfur. Neki provided us with gas masks the closer we got to the toxic fumes. Kawah Ijen’s smoky abyss looks and feels like a place from outer space. It’s hard to believe that people actually work here. The situation is frankly quite ridiculous: on one hand miners are dragging up between 80-100 kilos of sulfur up to three times a day, while on the other hand ignorant tourists try to overtake them or comfortably rest at the spots that are reserved for the working men who need to get the load off their shoulders for a minute. What felt even more embarrassing was seeing tourists taking selfies with these guys. We spent a couple of hours observing this and came to the conclusion, that some people would do anything for a selfie and don’t have the courtesy to give way to the heavy loaded miners who deserve more than a little bit of credit for having what is, perhaps, the hardest job in the world. The miners inevitably inhale the toxic fumes at Kawah Ijen crater. 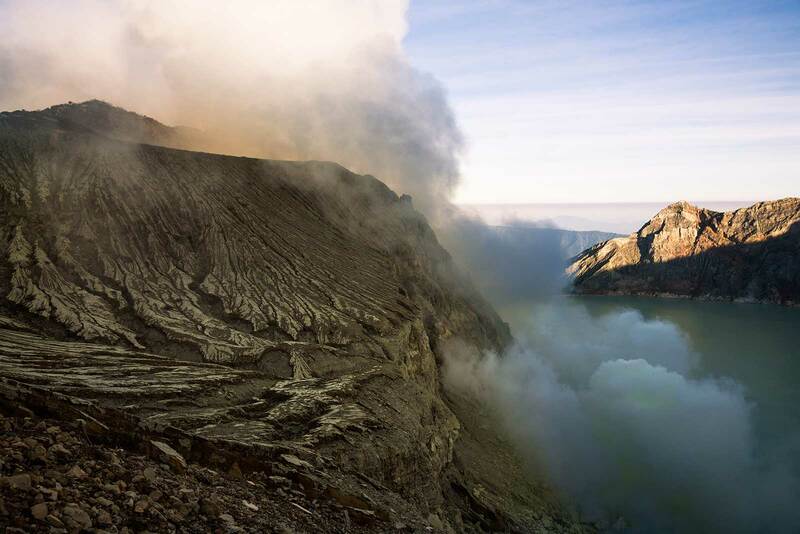 The landscape around Kawah Ijen volcano is definitely one to remember! 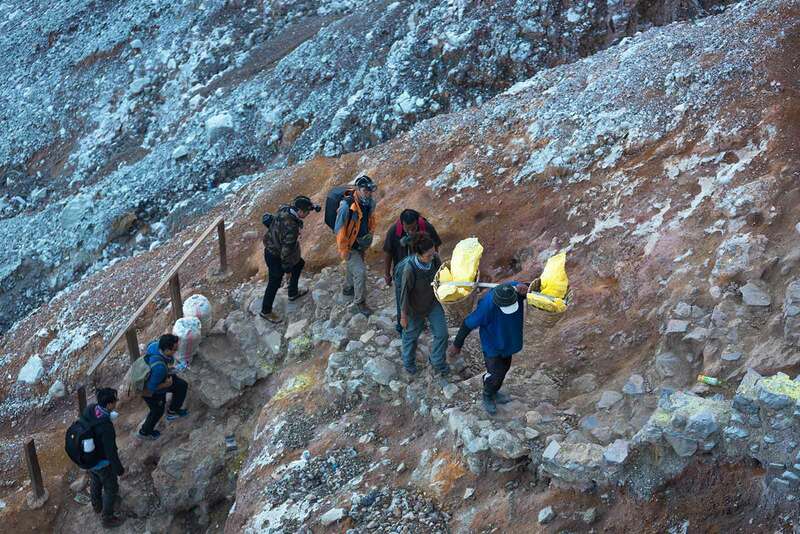 The Price Miners Pay At Kawah Ijen. 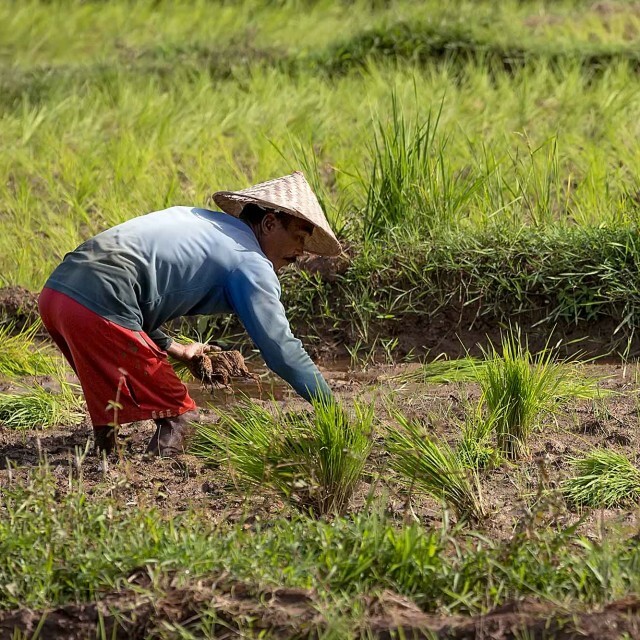 Each miner makes about 200.000 Rupees (15-20 $) a day, which is quite good money in Indonesia compared to other jobs. But they bear the scars of years spent on the edge of life and death. The side effects are nothing less but severe burns, sore bodies, ongoing coughing, poisoned lungs and squashed shoulder bones. 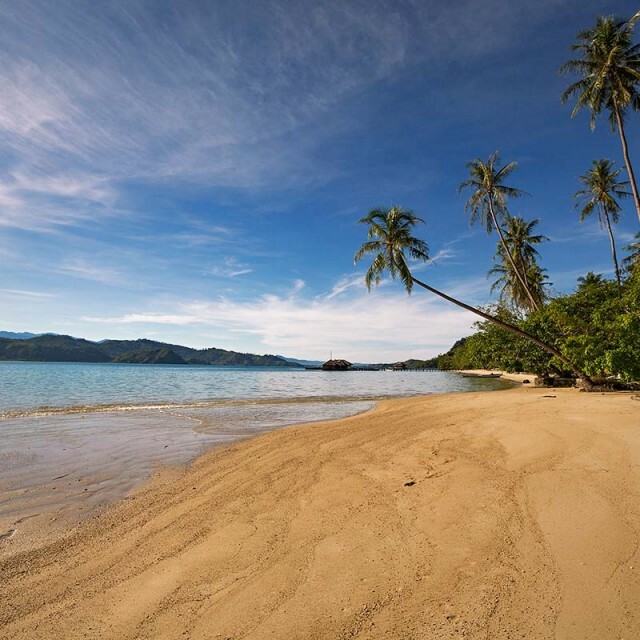 When exposed to this kind of work over long periods of time, the life expectancy is only 30 years. But money keeps them going and when one has the opportunity, he saves up as much as he can, and after a few years, opens a guesthouse and becomes a tour guide for crazy tourists who are after blue flames brightening up the nights down in this toxic environment. Neki was one of these people. And he believes that it saved his life. 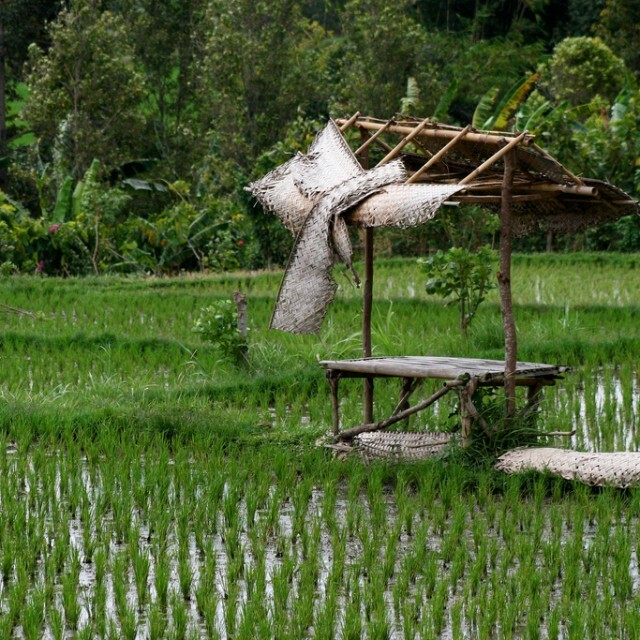 A View Of The Rice Terraces In Bali, Indonesia.